Gulshan Kumar presents a T-Series production in association with Legend Studios. 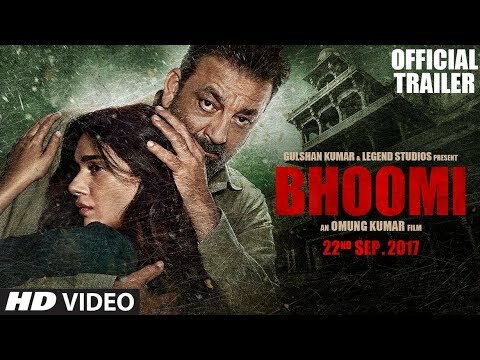 Produced by Bhushan Kumar and Krishan Kumar the official trailer of Bhoomi is an upcoming Indian film directed and co-produced by Omung Kumar. The movie features Sanjay Dutt, Aditi Rao Hydari in the lead roles. Bhoomi is an upcoming Indian film directed and co-produced by Omung Kumar. It will star Sanjay Dutt, Aditi Rao Hydari, and Sidhant Gupta. Principal photography commenced in February 2017 in Agra.